Electrically operated Metropole combines luxury and convenience with design options. Available on our 50mm pole, you choose from a wide range of colours and decorative finials. Hand operated Metropole is offered all the sizes, colours and range of finials. With 14 colours, 4 sizes of pole and over 15 decorative options, there is a design solution for any room style, traditional or contemporary. 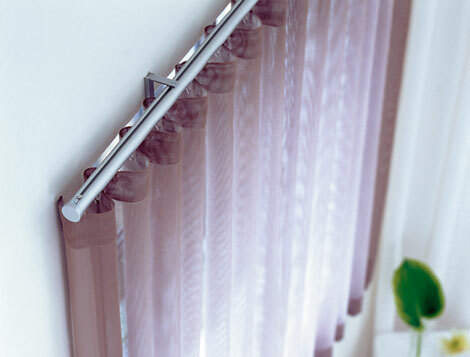 Corded Metropole is particularly suitable for medium to heavy curtains, or where you want to avoid touching the fabric. By selecting the option of an intermediate pulley you can have individual curtain operation and accommodate the heaviest of curtains.